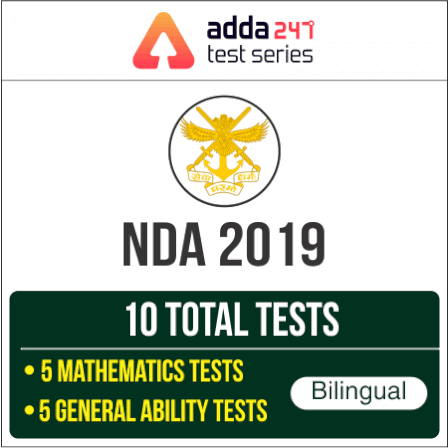 Dear Students, Defence Adda is providing you all with this quiz on General Knowledge questions for CDS, AFCAT, CAPF and other Defence Examinations. Q1.Dhamek Stupa was built by? Q2. A Medical Mission was sent to Turkey in the wake of the war between Ottoman Empire and Italy. Who headed this mission? Q3. Who used the term ‘Plate’ for the first time in 1965? Q5.The average variable cost curve is ____ shaped. Q8. Which one of the following elements cannot displace hydrogen gas from a dilute acid? Q9. How many teeth in man come out twice? Sol. The Dhamek Stupa was built by the great Mauryan king Ashoka in 249 BCE. It is a massive stupa located at Sarnath, 13 km away from Varanasi in the state of Uttar Pradesh, India. Sol. Doctor Mukhtar Ahmad Ansari, the Indian Medical Mission 1912-13 served in the war-torn Ottoman Empire and headed this mission. Sol. Wilson, John Tuzo (1908–93) Professor of geophysics at the University of Toronto, Tuzo Wilson is best known for his explanation, in 1965, of the transform faults which offset ocean spreading axes He was the first person to use the term plates. Sol. Governors of the states, Attorney General of India, Civil Sevices Personal, Council of Ministers and Prime Minister hold the office during pleasure of President. Sol. The Average Variable Cost Curve is ‘U’ shaped. Sol. Economic growth is the real growth after discounting the inflation. Economic growth is generally seen with some amount of inflation. Inflation means that people are spending in the economy and there is more money than goods and services which induces companies to produce more to increase profits. Sol. The core is laminated to reduce these to a minimum as they interfere with the efficient transfer of energy from the primary coil to the secondary one. The laminated core is meant to limit the eddy current losses. Sol. Since, Cu, Ag and Au are placed at the bottom of the series hence are least reactive than hydrogen and hence can not displaced Hydrogen. Sol. Oncology is the study of cancer. An oncologist is a doctor who treats cancer and provides medical care for a person diagnosed with cancer.